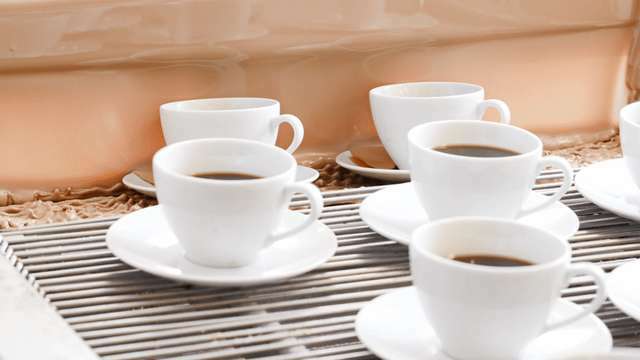 National Coffee Day is the fun middle school English teacher of national food holidays. It's nice, you like it, but you also don't expect it to get too crazy. There are confines preventing it from ever getting as weird as, I don't know, Talk Like a Pirate Day. (That's a real thing and there isn't a satisfactory explanation why.) National Coffee Day is predictable and loveable, but ultimately it's almost always you walking into a shop and getting free coffee. Nothing more. Krispy Kreme is looking to spice things up with a somewhat confusing, delicious promotion. The glazed donut emporium is offering glazed donut-flavored coffee and coffee-glazed donuts in celebration of National Coffee Day on September 29. Both will be available starting Monday, September 24. The donuts will be around for just one week, while the coffee is launching on September 24 and becoming a permanent menu item. Additionally, Krispy Kreme is offering a totally free cup of coffee in any size on September 29 in honor of National Coffee Day. 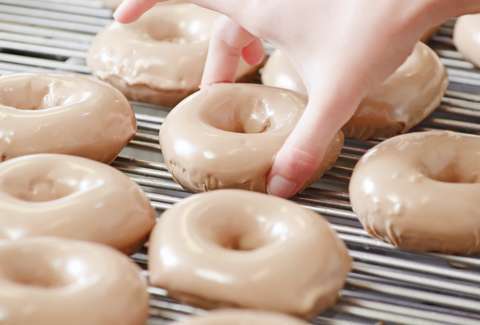 Even better, Krispy Kreme Rewards members can throw a free donut onto your order. That makes it worth signing up for the free rewards program alone because you don't have to do much more than downloading the app to get into the club.